How to deal with teens with attitude? Communication with your child is a major part of disciplining him. He will be encouraged to talk and at the same time to listen. The way you talk to your child teaches him/her on how to talk to others especially to their parents. Courtesy from Sandra Rief, a noted educational specialist, reported research shows that children only retain about 25% of what they hear as compared to 50% of what they see. With a new year to start, you’re kids are becoming teenagers and lots of parents discover that their kids have changed and have grown up into teens. Their attitude changes as well. Pre-teens and teens appear to have a concept of “why bother” or “I don’t care” attitude towards their responsibilities. It may be in school or inside the house like doing the household chores or perhaps a part-time job. Find yourself asking your teens “How will you become successful in your life if you don’t take this entire thing seriously. Teenage life is one of the crucial stages in a person’s life. During this stage, many teenagers are faced with much confusion and difficult situations. What earlier experiences in your teen’s life which has a connection with his attitudes in his teen years? This has something to do with how the parents properly communicate with their children. Effective communication with our teens is very important. In this way, you are able to understand them and they are able to understand you as their parents. A teenager’s life is really very mysterious, because everything changes as they get older. One of this is the teenager’s attitude which most parents can’t understand sometimes. If a teenager became rebellious, she became disrespectful to their parents and possibly to everyone. Sometimes teens have their problems which they will not divulge to anybody, even to their parents. When they are having problems with their family, they only express it by being rebellious in order to get attention from all the members of the family. The normal attitude of a teenager is not like that because most teenagers are interested in beautiful things especially in the teenage world. But most of the teenagers will pass this stage due to some inevitable factors. It is normal and understandable. 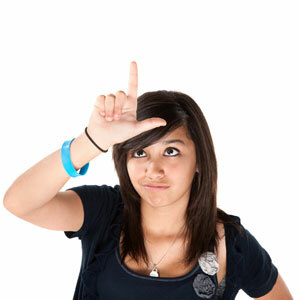 Almost teens show their attitude through facial expressions and also practicing different emotional expressions. Some parents feel confused and cannot understand these changes. But all teenagers needed the attention, understanding, love and affection from their parents and friends that surround them. Information about adolescents and teenagers places a great deal of emphasizing on the physical, social, and emotional changes, together with confusion and mistrust which mark this experimental stage of a child's life. Although it is definitely a difficult period for the child, it is either true that the parents are also experiencing stress, changes, and confusion at this time. Not much has been written about the parents' problems and worries, as well as the changes they undertake as they approach the midlife with a teenager in their household. It is important to identify some of the normal attitudes and reactions of parents and teenagers during this period. Some of parents realize a certain teenager’s attitudes and behaviors to be problems, although in reality these may follow typical adolescent figure. Here are some suggestions on how to differentiate between normal and abnormal behavior in an adolescent, on how to decide whichever their behavior will be of no concern, moderate, or great concern to the parent. This gives the teenager an automatic ground of personality discipline. Facial expressions can be noticed from the teen’s attitude, as well as a bit of utterances and sighs. Teenager’s attitude can be trying, especially when teenagers are still trying to master their unbalanced emotions. All children, at one time or another, are moody, quarrelsome, or controversial. Although, to determine its behavior or attitude is reason for concern, it is very important to show its condition. A child who is sometimes flip or bold is definitely not that uncommon, compared to a child who is pure every time he or she talks to his or her parents. The more constantly the behavior is obvious, the more it may change from normal. Keep observing your child’s attitude in the various activities he does. In general term, in order to determine which behavior is normal or not, you can ask the following questions. How different is the behavior when compared with other children in the same age group with normal personality? How often does it happen? Is it destructive to others? If there’s something that you don’t understand or you don’t like with your teen’s attitude, try to talk to him/her. By doing so, he will feel that you just want to be close to him. He might just have a problem with something but can’t tell you right away. Be responsive all the time in knowing their emotions and let them express their feeling further. If they have problems, allow them to open up so you can work a solution for it. Again listen to them and always ask questions why they are feeling like that to lessen their bad attitude. You may have lots of answers to your questions if you will know the different factors that affect your teen’s personality. But we have to remember that we are not alone in this battle. As parents, it is our responsibility to understand our teenagers and offer advice for their welfare. We love them and therefore, we must understand them no matter how painful is their attitude is towards us.